Waffle House customers bring their family to eat at the restaurant which sits 75 feet from the beach as the eye of Hurricane Nate pushes ashore in Biloxi, Mississippi October 7, 2017. There's 29 participating Waffle Houses in North Carolina, three of which are in the Triad. Valentine's Day doesn't have to be an expensive candlelit dinner. It can be an inexpensive candlelit dinner, too. Nearly 200 Waffle House restaurants will be taking reservations for an upscale dining experience, featuring a more romantic, intimate setting, on Thursday. A special menu will be offered at all participating locations. There's 29 in North Carolina, three of which are in the Triad. 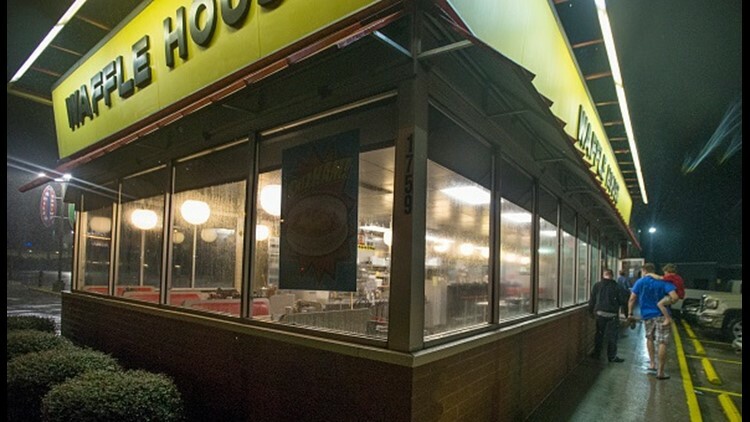 This is the 12th straight year Waffle House is offering a special Valentine's Day experience. You can find a nationwide list of participating Waffle Houses serving Valentine's Day dinner here.